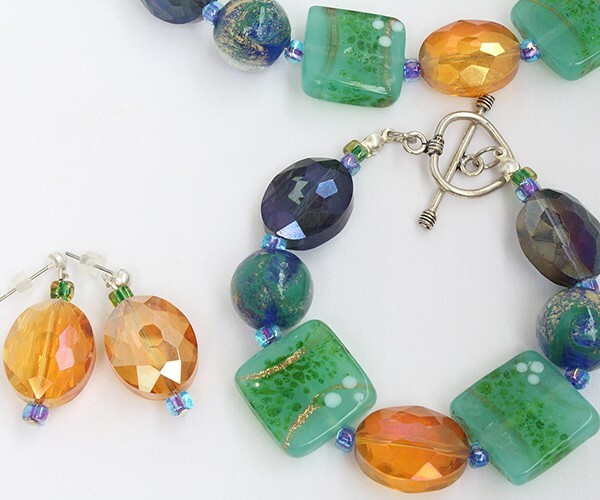 Square green and round blue Murano-like glass beads (with a bit of gold powder inside), multifaceted glass beads and tiny blue Miyuki triangles. 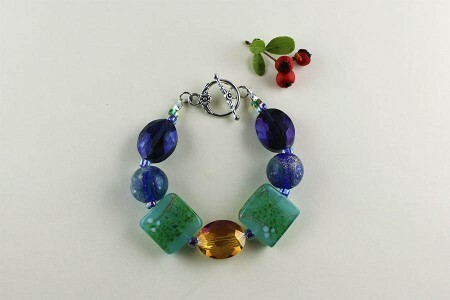 The toggle is silver plated. 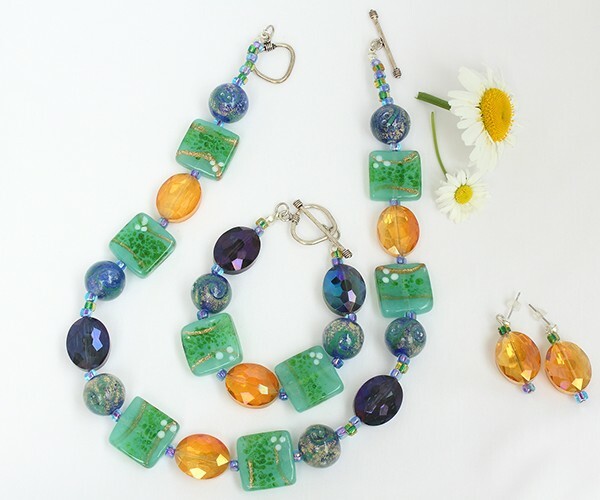 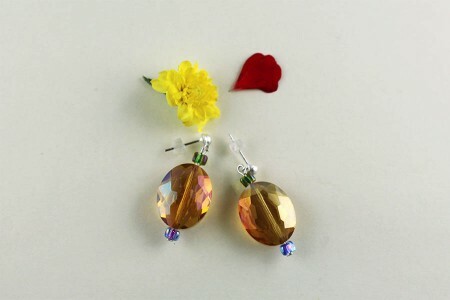 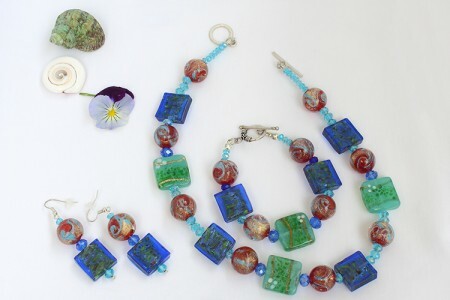 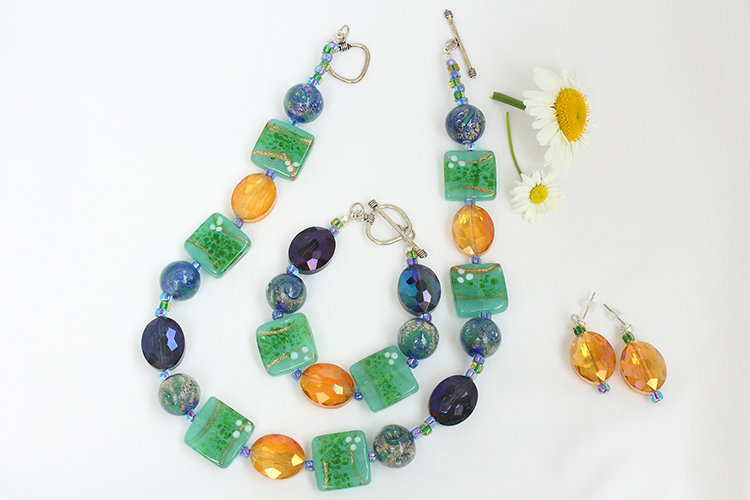 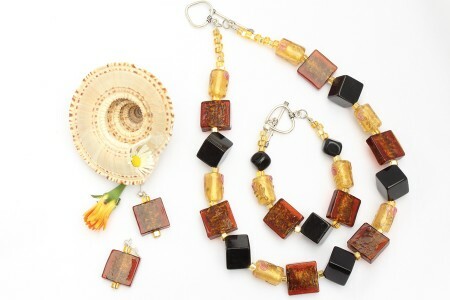 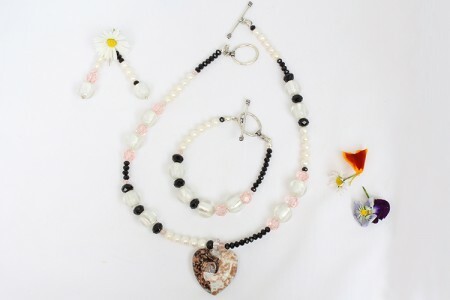 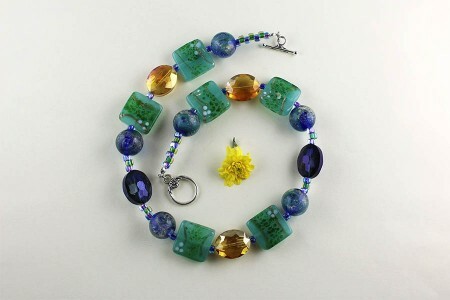 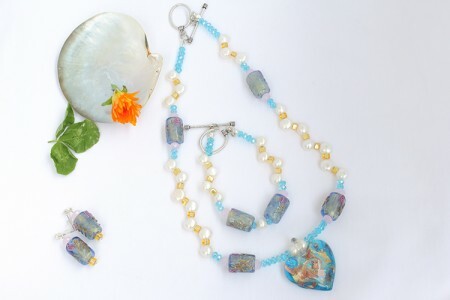 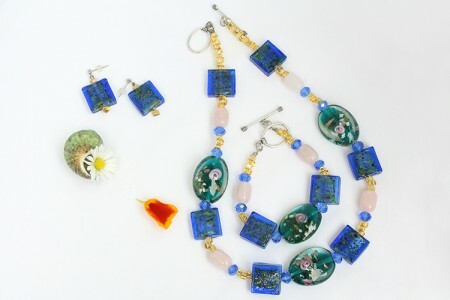 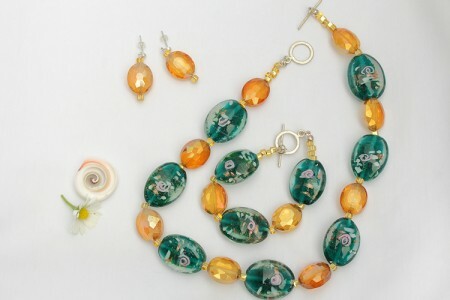 The set components (necklace, bracelet, earrings) can also be bought separately.